It's a pie! It's a cake! No wait- it's a cheesecake shake! If I could choose a power, it would be to summon one of these with a snap, yum! *Optional- If you like your cheesecake super sweet, try adding stevia! 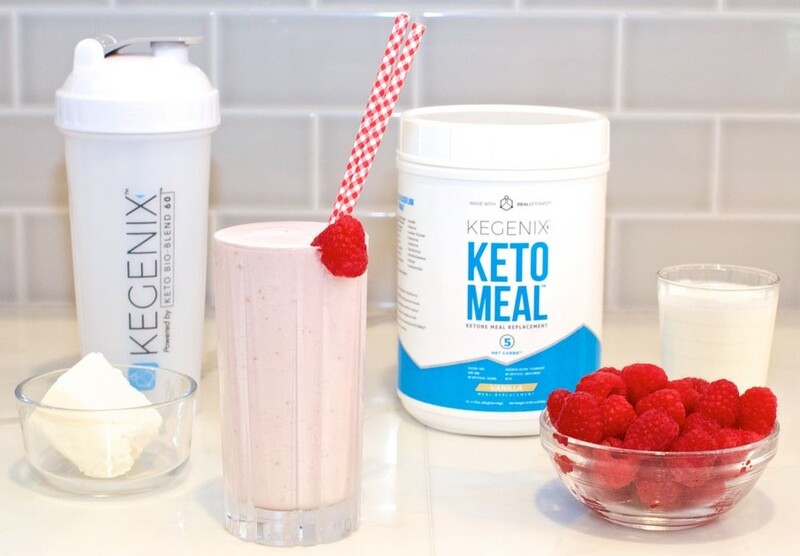 Take your blender and add in your Vanilla Keto Meal, cream cheese, and raspberries. To that, then add your heavy whipping cream followed by water (keep your eye on the water- you can always add more, but you can't take away, so don't add too much!). Add ice- then blend! Be sure to give it a stir if you suspect all of the ingredients aren't well incorporated (no one wants a big glop of cheese in their shake!). And suddenly- wham! Where are you? The Cheesecake Factory? Nope, just in your kitchen at home being keto and fabulous. under the "learn" tab on our website- I'll link it here for you!